I remember the first time I experienced an inner-city “herb garden.” It was a fourth-floor corner flat in London Euston, the inhabitant of which was a grizzled new-age pensioner who was also my soon-to-be landlady. The old terracotta pots, stacked just outside the doorway, along with the green array of kitchen-window plants, certainly added a unique charm to the space. Because of their notable characteristics – striking scents, healing powers and long culinary history – many herbs have attained mythical status. Rosemary’s blue flowers, for example, are remnants of the shroud that the Virgin Mary draped over its branches whilst resting (“rose” of Mary). Likewise, if you decide to grow a bay tree, keep a close eye on it. The withering away of leaves may portend coming disaster. 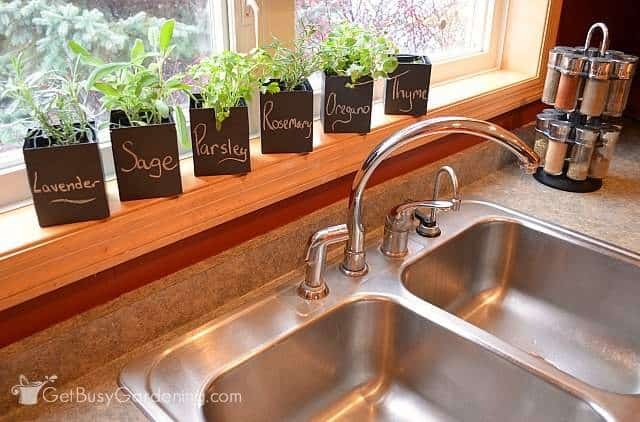 So your indoor herb garden needn’t just be a source of free garnishes (though they are rather good for that). They’ll add a touch of enchantment to your kitchen too. 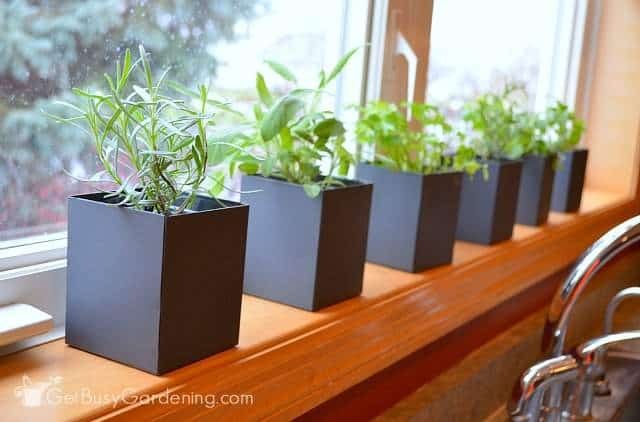 If you want to become a successful indoor herb garden grower, follow these DIY indoor herb garden tips. 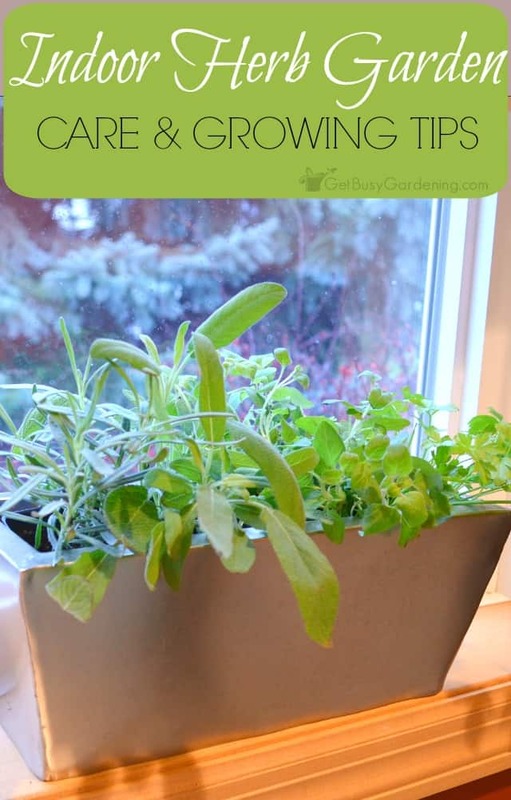 Despite the fact that growing herbs indoors is popular, they can be challenging to maintain. Many herbs come from hot, dry environments that are also prone to cooler temperatures. Rosemary and thyme, for instance, are often found on hillsides and coastal cliffs. I’ve had trouble growing both plants indoors during the hottest summer months. Generally speaking, you want maximise drainage as much as possible when growing herbs indoors. A lot of herbs hate having wet roots, and even those that can manage in damper conditions will appreciate their soil being well-aerated. Adding perlite to your potting mix (in the form of an additional third) will solve this problem. Potting mixes themselves usually consist of a base substrate, like peat moss, that provides water and anchorage for growing herbs. To this compost (decayed plant remains) you can also add a slow-release plant fertilizer, both of which provide nutrients. If you want to go down the DIY potting soil route, I’ve had success with a mix of one part perlite, one part peat moss and one part compost, with a little lime added. 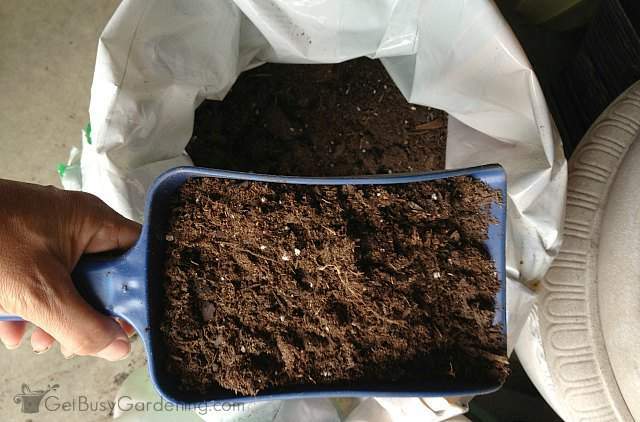 You can also change peat moss for coco coir, and then there isn’t any need for adding lime. Add a slow-release organic plant fertilizer to the soil if you don’t want to feed your herbs regularly using liquid fertilizer. If you’re using your own potting mix without the addition of slow-release fertilizer, or a pre-made one that hasn’t had any added, then you will need to start feeding your herbs after a period of about six weeks, on a monthly basis. You’ll need a balanced liquid fertilizer (one that contains nitrogen, potassium and phosphorous, the three main nutrients that plants require) alongside a second for trace elements (a liquid seaweed fertilizer or fish emulsion are good examples). I recommend using a pre-made compost tea, or buying compost tea bags so you can brew your own. 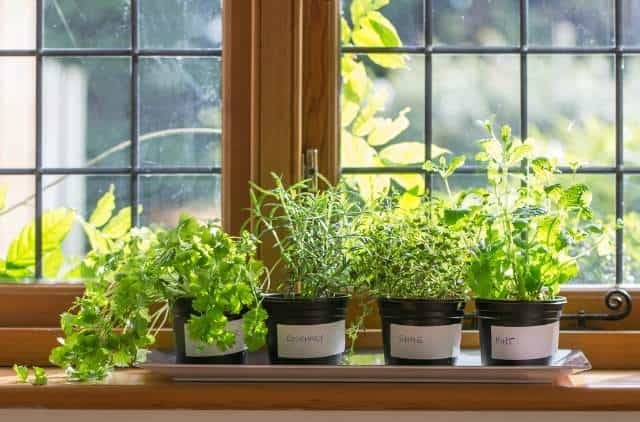 Wherever you can, buy transplants – growing herbs indoors from seeds is not impossible, but certain herbs like lemongrass and rosemary can be fussy to grow from seed. (You could also buy a cute indoor herb garden kit to get you started.) In terms of harvesting your herbs, unless otherwise indicated, snip off new stems a few inches down from the tip – this will encourage new side-shoots and bushier growth. 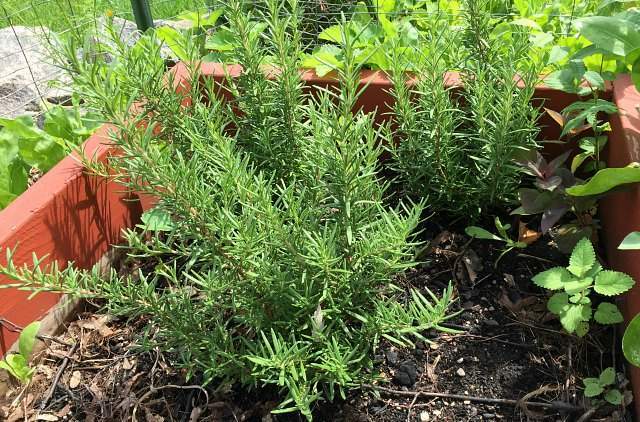 Here are some easy herbs to grow inside. These herbs all like well-draining soil and warm conditions. They’re evergreen perennials so will provide greenery indefinitely. Allow the soil to dry out somewhat before watering herbs indoors, but don’t force a drought on them! Because it’s naturally bushy you can cut thyme off further down the stem. Coriander (cilantro) is an annual that is best harvested in one go. Sow the seeds in a bright spot directly in the pot in spring and thin them so they have at least six inches of space. 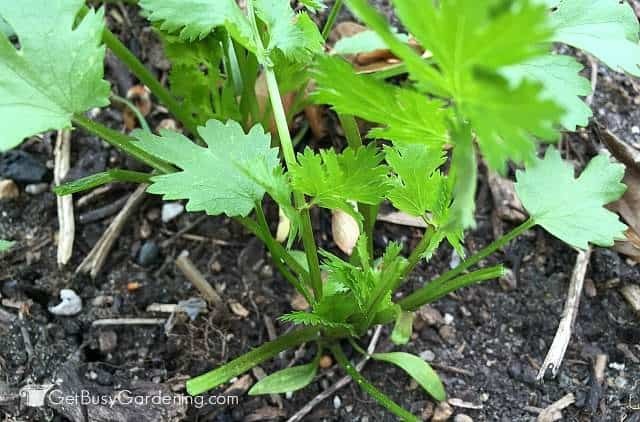 You can also grow coriander for the seeds. Lavender is another evergreen perennial herb. The leaves themselves are relatively useless but the flower heads can be snipped off for use in tea or as a sleep aid. They also look and smell lovely. Learn more about how to grow lavender. Lemongrass is easy to grow indoors in a bright spot in well-draining soil, harvest the swollen stem bases for use in Thai dishes, chopping off just above the soil level. 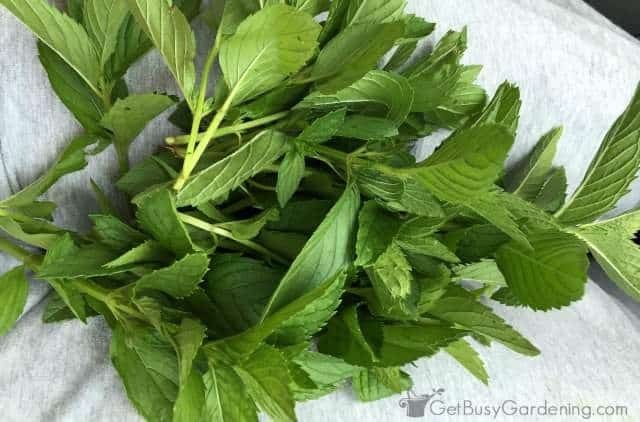 Mint, another perennial herb, grows well indoors in containers, and copes with light shade. It’s often better to grow in pots as it can spread rapidly when planted in the garden. 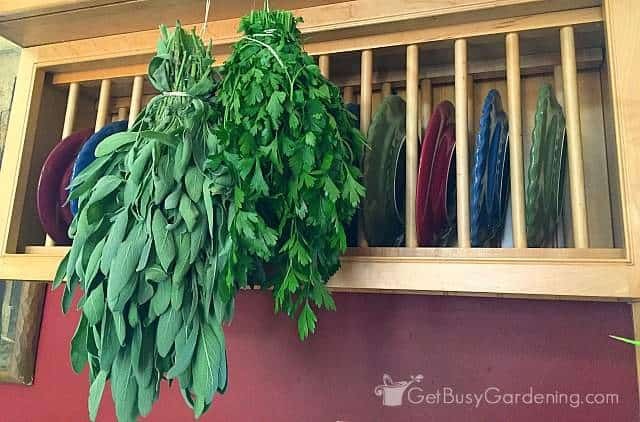 Do you grow herbs indoors? 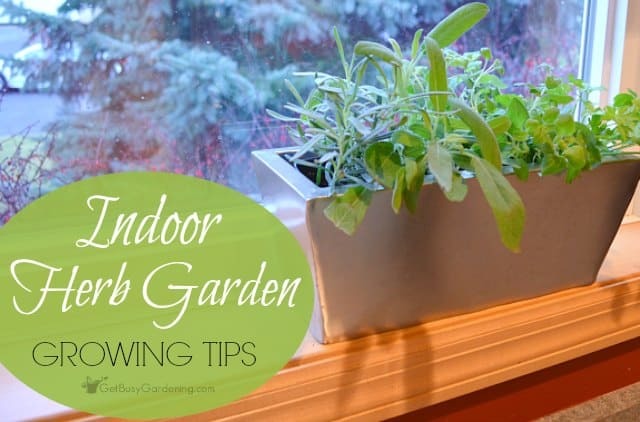 Share your indoor herb garden tips in the comments below. This was written by Daniel Mowinski. Dan is a gardening blogger. He’s particularly interested in urban food growing, a subject he writes about on his blog Urban Turnip. Thanks for sharing your indoor herb garden tips with us Dan! Great tips! I have trouble with not enough light/windowsill space so I bought a grow light. It does wonders for keeping the herbs growing in the cooler months! Awesome! Thanks for sharing that the grow light works so great for you. That’s great to hear. Our daughter/grand daughter have been growing some herbs in summer but I would love to keep some plants growing throughout the winter. Grand daughter grew some nice lavender, so would I love to. Quite by accident I put 2 geranium plants and few succulents in our south facing window during the holidays, they are growing like crazy, doing so well. Usually kept them in west facing window but had other things on that surface for holidays when I decided to put them in our bathroom in south facing window. Might be too hot for them there in summer so will have to see what happens. Gets very hot in west facing window in summer. Like to put some plants on front porch during summer as about mid afternoon gets shady/little cooler out there on east side of house. Both my geraniums are at least 3 yrs. old, kept them alive and separated them in spring, replanted. The succulents have had for long time, brought them from KY. Thought would be interesting to try to grow some herbs, especially some lavender. We live west of Grand Junction, CO where several people have good sized lavender farms so guess climate is good for it, dry here, low humidity most of time. Sure glad I clicked on your post so can learn more about growing herbs. Think will buy myself a grow light if it seems needed. 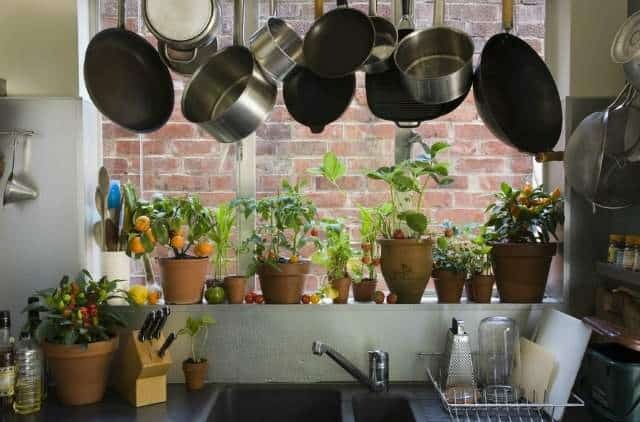 Sounds like you’re a natural at growing plants indoors! 🙂 I hope that you’ll try growing some herbs indoors, and they will grow great for you! I really needed these tips! Haven’t had luck with the basil I’m growing indoors. Thanks!